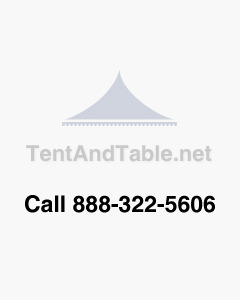 Whether you are adding spare poles to your existing inventory or purchasing a replacement pole for a specific tent, Tent & Table carries side and center poles in a variety of heights and materials. This one piece 8' Heavy Duty Anodized Aluminum side pole is frequently used with 30'-wide pole tents. Our heavy duty anodized aluminum is an ultra durable, lightweight alternative to galvanized steel. Our 2" diameter aluminum side pole is resistant to rust which will extend the life of the pole and prevent staining on side walls. 96" x 4" x 4"